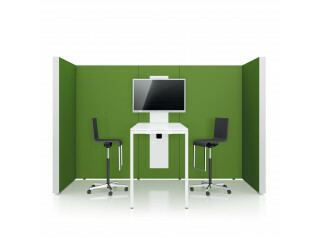 Process E_Station Desk Screen combines technology station, accessory panel, partitions and a flexible workplace. 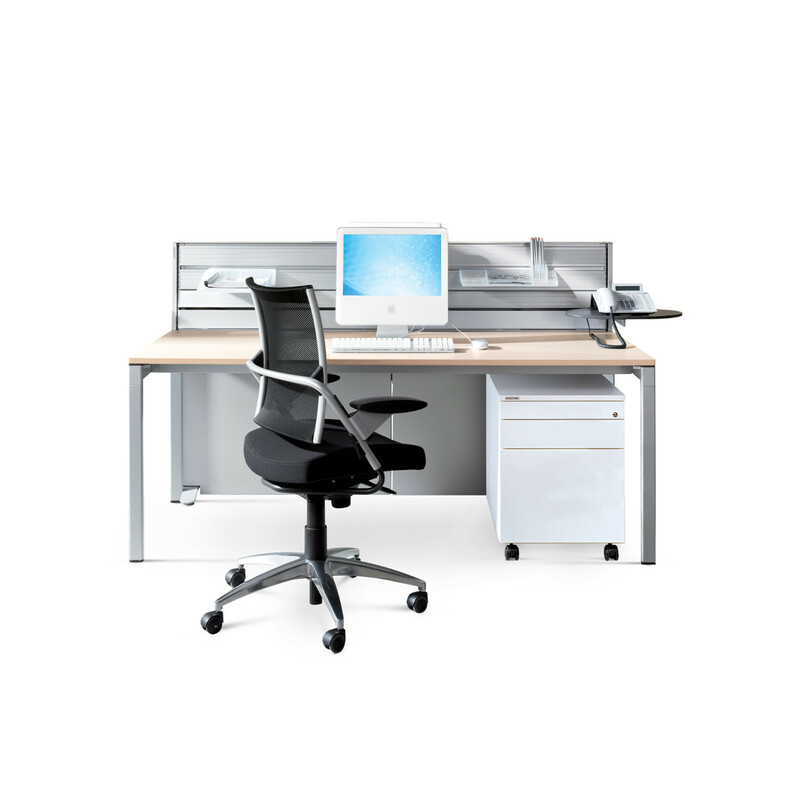 Process_E Station serves either as focal IT point between two workplaces or as stand-alone for one workplace. It is provided with a horizontal cable channel including electric cabling for comfortable plugging in at table top level. 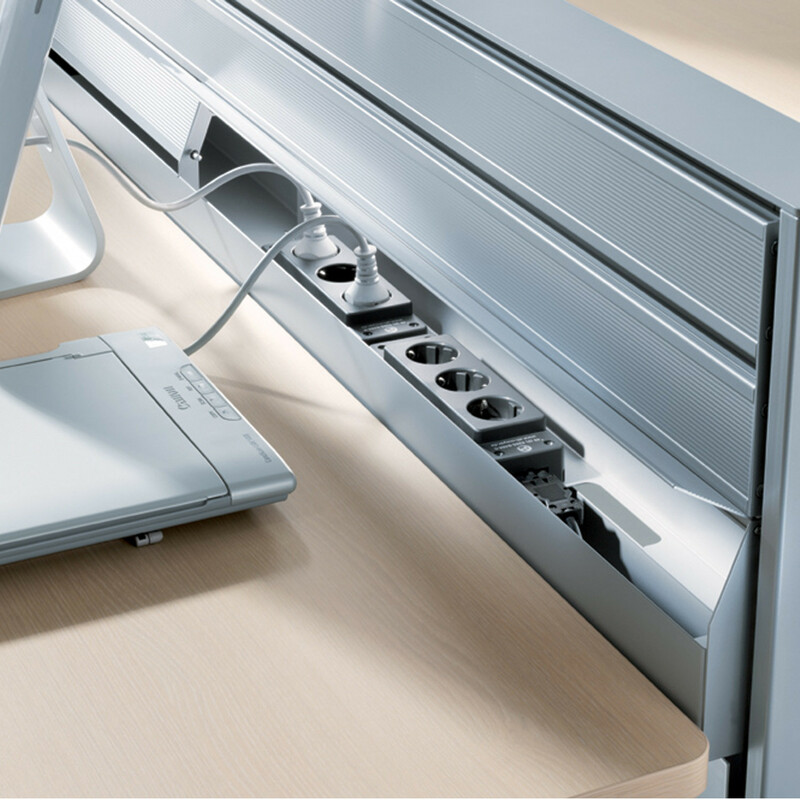 Process E_Station Desk Screen comes with a detachable bottom in-fill, which allows easy access to the cable feeds from the floor. Between the infills there is enough space to tuck away plenty of cable. 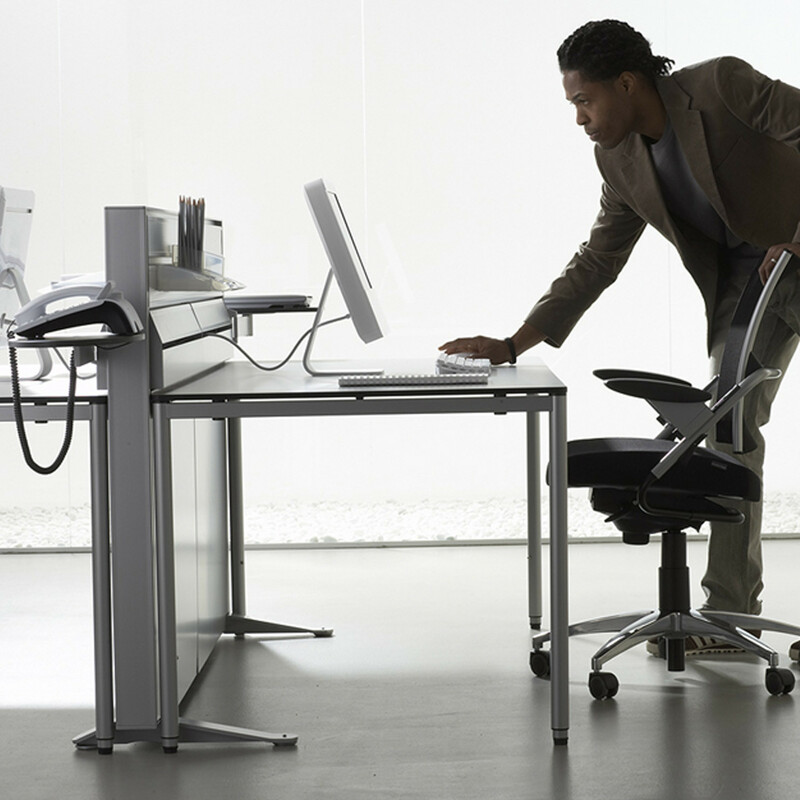 The optional table top (only for width 1100 mm) accommodating the IT equipment keeps the table free from technical devices and makes it mobile for multi-functional use. 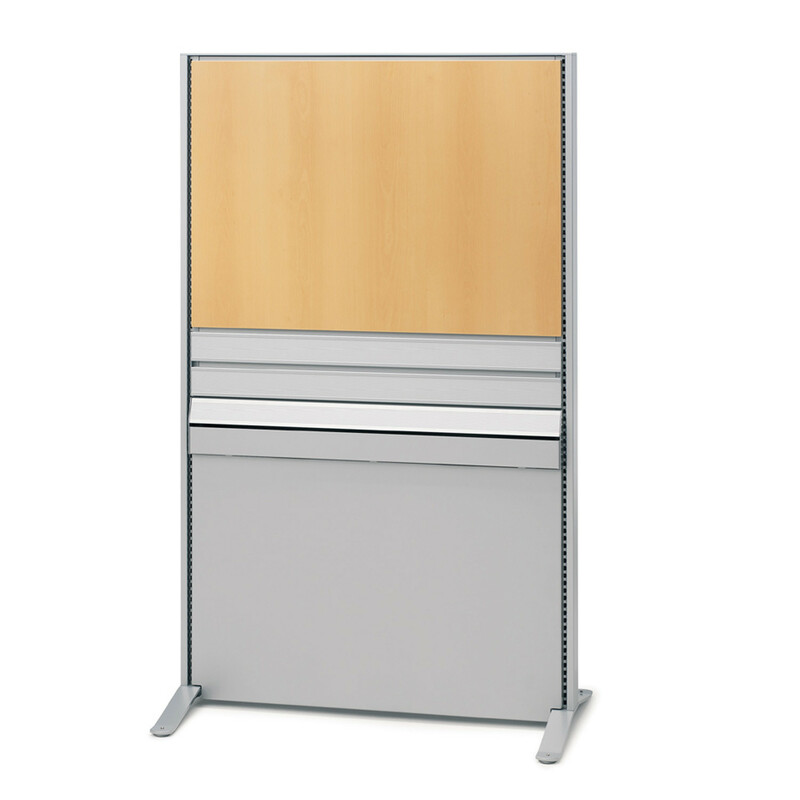 Frame construction sheet steel; each side contains 2 aluminium accessory rails. 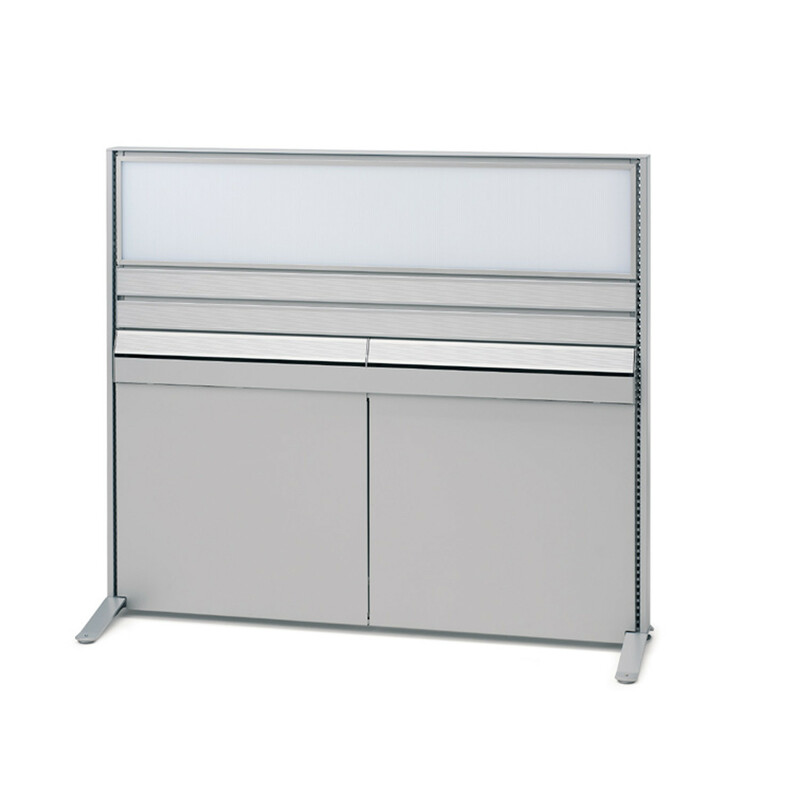 You are requesting a price for the "Process E_Station Desk Screen"
To create a new project and add "Process E_Station Desk Screen" to it please click the button below. 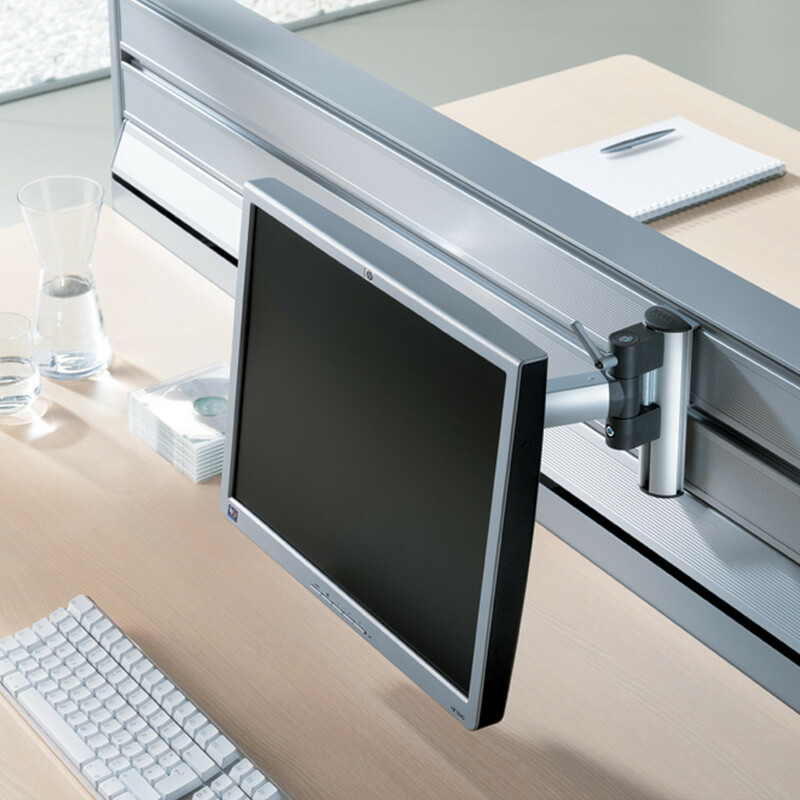 To add "Process E_Station Desk Screen" to an existing project please select below.